CompEx stands for Competency in Explosive atmospheres. CompEx is a globally recognised certificate. The certificate shows that employees and contractors in the gas, oil and chemical sectors have an understanding and level of competency sufficient for them to work in potentially explosive atmospheres both offshore and onshore. The CompEx training scheme is broken down into 12 individual sections each covering different aspects of operating in hazardous areas. Both onshore and off-shore petrochemical and refining plants can contain explosive atmospheres as well as distilleries, flourmills, wood work machine plants, chipboard and melamine faced chipboard pre production areas and all fuel forecourt settings. Each of these environments require that all employees carry out safe working practices to reduce the risk of ignition of explosive gasses or dust that could result in injury or death and the destruction of buildings, machinery or other assets by explosions and fire. The assessments are both practical and online and can take two days to complete, and follow on immediately from the training. Each candidate is required to demonstrate competence through a series of practical tests and written multi-choice tess, with successful candidates receiving a CompEx Certificate of Core Competence. The 12 sections cover the following elements. The preparation and installation electrical equipment in explosive atmospheres. The inspection and maintenance of electrical equipment in explosive atmospheres. 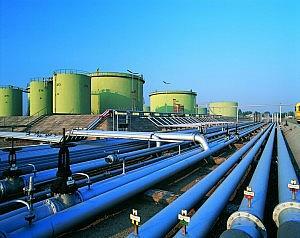 The preparation and installation of equipment and systems in explosive atmospheres. The inspection and maintenance of equipment and systems in explosive atmospheres. The preparation and installation of electrical equipment protected by enclosure, for use in explosive dust atmospheres. The maintenance and inspection of electrical equipment protected by enclosure, for use in explosive dust atmospheres. The preparation, installation and de-commissioning of electrical installations at fuel filling stations. The inspection, test and maintenance of electrical installations at fuel filling stations. The preparation and installation of electrical equipment in explosive atmospheres within the water industry. The inspection, test and maintenance of electrical equipment in explosive atmospheres within the water industry. The competency requirements for EN 13463 Parts 1, 5 and 6 for operatives working with mechanical equipment. The competency requirements of IEC 60079 Part 14 for designers (design & selection). How long does CompEx last? The CompEx certificate lasts for 5 years from the date initially passed. Within 5 years the candidate must take a CompEx refresher course or they will not be considered “CompEx qualified” and would not be able to operate in explosive atmospheres where CompEx is a requirement. The CompEx refresher course can only be taken by a craftsperson or design engineer who has previously passed the full CompEx course.